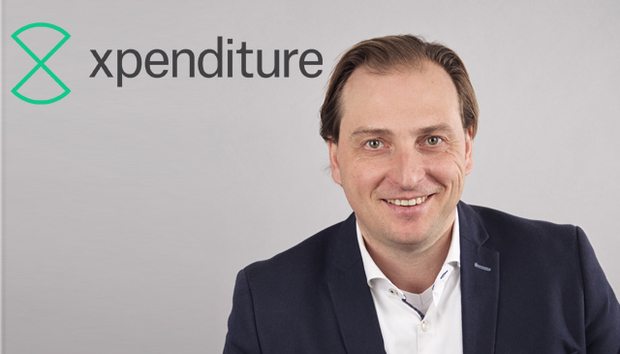 Boris Bogaert, CEO and co-founder of expense management and software company Xpenditure, is a serial entrepreneur who has been involved in technology and tech startups for his entire career. This current venture aims to take the sting out of expenses (by allowing employees to input receipts by photograph and thus helping to automate the more tedious manual processes). We catch-up with Bogaert to learn more about where the company is heading and discover his views of the wider fintech scene. A short Q&A can be found below. How do you see Xpenditure developing short, medium and long term? We have recently entered into a joint venture with Sodexo and iAlbatros, a corporate travel booking tool. The goal of this partnership is to offer the market a fully end-to-end travel and expense management platform. Employees’ user experience is at the heart of every single one of our developments. We have an employee-driven strategy with a focus on end-user adoption to help all employees get rid of time consuming, no-value added tasks. We are also working on longer term features and options that will go beyond just booking trips and expenses but will assist employees at each step of their travel or expense journey. We are ambitious enough to say that we want to become the most used business app in the world. What other fintech startups have you been impressed by and why? I recently had the opportunity to hear the founders of TransferWise, Kristo Käärmann and Taavet Hinrikus, speak at Finovate Europe in February. The talk strongly resonated with me - we share a common vision on how fintech can help solve real issues and facilitate outdated processes. Kristo and Taavet have created a solution to a problem they were facing themselves. Their smart money transfer platform impacts millions of people especially in a world where mobility became the norm. Alongside this they also help people save money as they are no longer subject to bank fees and delays. I think they showed real entrepreneurial spirit by solving an issue they were facing, and turning their idea into an incredible opportunity that has impacted millions of lives. This is exactly what we are trying to achieve with Xpenditure as well. What do you think the most interesting trends in tech at the moment are? Although machine learning and artificial intelligence have been highly visible tech trends for a while, they fascinate me - particularly because they have become so accessible. Today, almost all companies could have access to advanced artificial intelligence technologies to build the applications of the future. AI has almost limitless potential and I believe the impact it will have on our society will be substantial. We are incorporating machine learning into Xpenditure and it’s already having a really positive effect on user experience. Do you think banks will have a diminished role in future? The effect of new technology has been a challenge for every single industry. It’s important for each industry to understand and embrace the changes these innovations bring. In today’s world, no business can afford to be complacent and needs to be constantly challenging itself. Banks aren’t going to disappear - but a change is coming. ‘Uberisation’ has been the go-to word to describe a shift in industries and that’s exactly what banks will have to experience. Cryptocurrencies and blockchain technology are the first signs of disruption and portend a major shift away from traditional practices. The modern way of life has a lot to do with this. Today, everything needs to be immediate and instant - banks are trying to adapt to this, but at slow pace. In addition, after economic crises in countries like Greece and Cyprus, people are losing trust in big institutions like banks. Banks are highly aware of these changes and are trying hard both to keep up and to get ahead. A number of banks have created blockchain research departments - the impact of these will soon be felt. Will cryptocurrencies ever really catch on? Cryptocurrencies came as a response to a fragile market impacted by a breach of trust. Because of this, attraction to currencies like Bitcoin or Ethereum will remain strong. While cryptocurrencies are definitely the most fashionable trend in the financial sector, I don’t think they can truly thrive without global acceptance and regulation. Most people demand reassurance and stability and at the moment neither Bitcoin nor any other cryptocurrency can provide that. The benefits of cryptocurrencies rely on their accessibility and security. In developing countries, where brick and mortar establishments are limited and currencies are prone to fluctuation, cryptocurrencies can be a safe investment which can all be managed via a smartphone. I believe that we are only in the beginning of this phase - cryptocurrencies will continue to evolve. It may be the case that the ones we know today will disappear and new and better ones will come into play. But the most fascinating and deserving of attention is blockchain technology. That is what will really transform the world. Is blockchain all its hyped up to be? Blockchain is our century’s greatest innovation. The possibilities that this technology offers us are infinite. Most people are still unable to grasp the change that it could bring - but it is bound to transform the world. Deloitte defines blockchain as “a distributed ledger that provides a way for information to be recorded and shared by a community”. This shared character of the recorded information makes it almost impossible to forge, modify or delete. Each interaction is recorded and accessible at any point, providing users with total transparency. This means that in the future we will be able to have fully trustworthy interactions and transactions, where no middle man is needed and everything can be traced back to its source. In a nutshell, we will be able to know exactly where the tomatoes we buy come from and buy a house without a notary. I strongly believe that blockchain will become integrated into every aspect of our daily life without us even noticing: apps, IoT devices, etc. It’s amazing to see so much innovation and so many start-ups in the blockchain sphere. Blockchain might even be able to answer one of the most challenging questions in the technology. Individual privacy and security, and how governments and institutions are trying to control them, have become a crucial pain point. Blockchain might just take away all that worry. Flexibility. This is absolutely crucial. People don’t stay in a jobs for decades anymore - they need to be constantly stimulated and challenged. The young generation is now looking for passion and purpose in their everyday work and can no longer stay in bread-and-butter jobs. Flexibility will also have a positive impact on older generations, where the rate of unemployment is growing as a result of new technologies entering the workplace. If we redesign the structure of employment and offer companies and older people more flexibility, this will allow us to create a more dynamic market. Younger companies or start-ups can learn from more experienced people by hiring them for specific projects or as mentors on specific topics. The spirit of creativity and entrepreneurship is also really important. That is something only we humans are able to possess. I strongly believe that these skills need to be taught at school. Children need to be trained to take risks and think outside of the box, to be the players and innovators of tomorrow. I am definitely not worried about the world post-automation. I believe that human interaction will always be important for our world to function and that we are capable of things that no robot will ever be able to achieve. Technology is likely to have an increased impact on the future of society – do you think any aspects of this are dystopian? Technology has already played a huge role in our lives - look, for example, at the invention of the aeroplane and the impact that had on mobility. I think all tech companies are working to create a better world for everyone. Tech innovators make it possible to perform incredible things - from medical procedures that were impossible 20 years ago to simple house tasks that can help millions of people. This is why I think we should be optimistic about technology and, of course, be very smart about what we do with it. It’s true that we might be incorporating tech into our lives too quickly. Sometimes unanticipated changes can happen, and society has a delayed reaction to them. We need to challenge the model we have been working with for the last decades and imagine new types of societies that can cope with technology in the upcoming years. We need to embrace technology and create an environment of knowledge sharing between generations.